For some reason the product shot makes this print look murky but in person and in other photos the print is vibrant and gorgeous. I cannot wait for this! 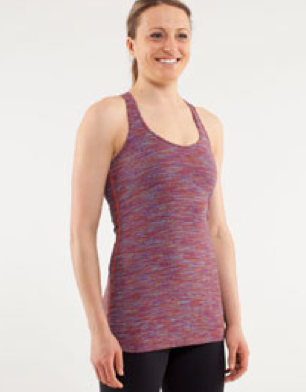 "New Mystery Run Tank, and Wee Are From Space Fossil CRB and Ebb and Flow Crops and Tank in Heathered Dark Classic Sports Grey"